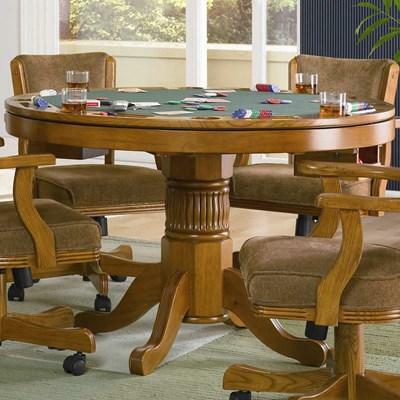 Oak bumper pool table can be used as a poker table or dining table. 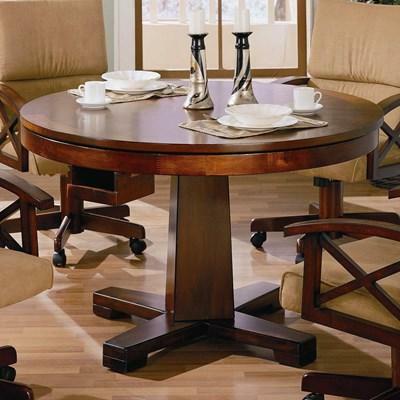 Flip the top around and you will find a dark rich green felt lined card table with cup holders and chip trays. 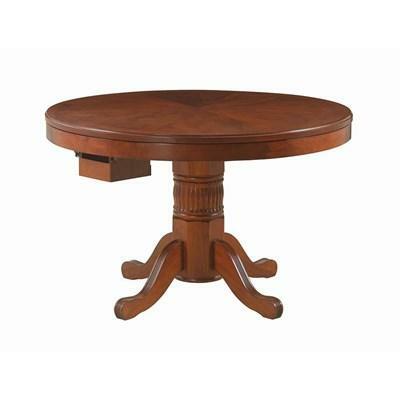 This Marietta 3-in-1 Game Table by Coaster Furniture features a transitional style with a pedestal base and X-design feet made in wood with removable top. 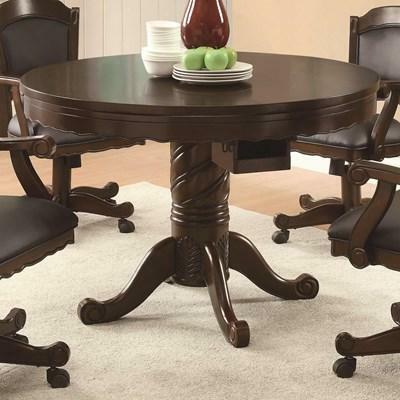 This piece comes in a distressed brown finish.